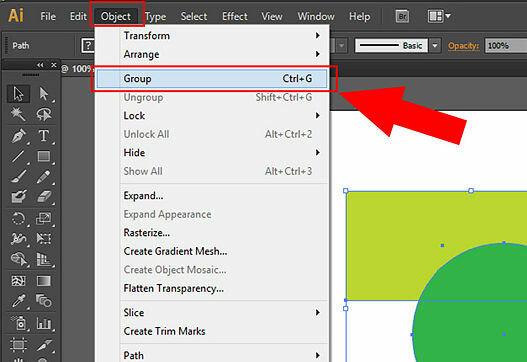 Keep objects together by grouping them in Adobe Illustrator CC. The Group function is handy when you’re creating something from multiple objects, such as a logo. Using the Group function, you can ensure that all objects that make up the logo stay together when you move, rotate, scale, or copy it. 1If you aren’t already working with an illustration that contains a bunch of objects, create several objects on a new page — anywhere, any size. 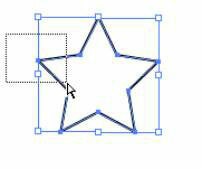 For example, select the Rectangle tool and click and drag the page several times to create additional rectangles. 2Select the first object with the Selection tool and then hold down the Shift key and click a second object. Choose Object→Group or press Ctrl+G (Windows) or Cmd+G (Mac). 3Choose Select→Deselect, and then click one of the objects with the Selection tool. 4While the first two objects are still selected, Shift+click a third object. You will see the third object selected. 5With all three objects selected, choose Object→Group again. 6With the Group Selection tool, click the first object; all anchor points become active. Click the first object again; the second object becomes selected. Click the first object again, and the third object becomes selected. The Group Selection tool activates the objects in the order you grouped them. After you group the objects, you can treat them as a single object. To ungroup objects, choose Object→Ungroup or use the keyboard shortcut Ctrl+Shift+G (Windows) or Cmd+Shift+G (Mac). In a situation where you group objects twice (because you added an object to the group, for example), you have to choose Ungroup twice.